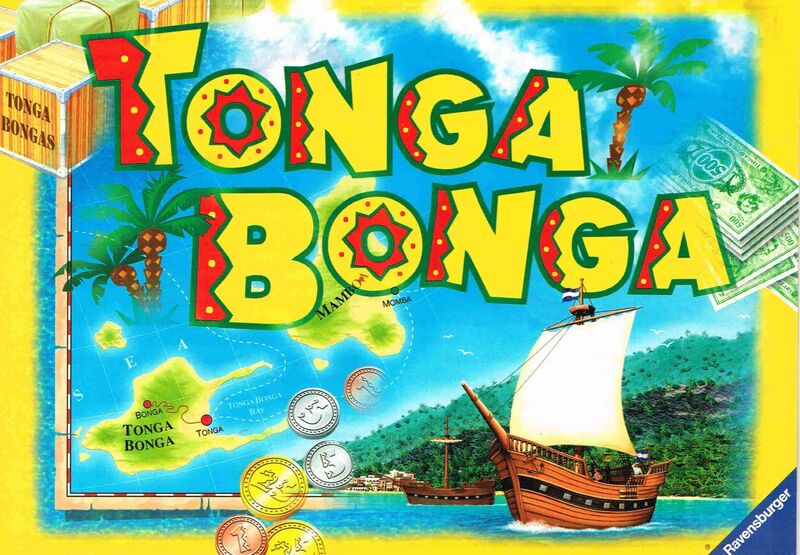 In Tonga Bonga each player pilots a ship around a little group of islands with the goal of visiting four of the five remote islands and returning to Tonga Bonga Bay. Winning the race does not win the game, however. In addition to the payoffs for visiting each island (lower the more players who have visited it before you), money is also made on each turn when you roll your three dice and assign them as movement points to your opponents' ships. The better "salary" offered, the more likely you are to attract the best dice rolls to your ships -- but then, you'll have spent more money. And most money is what wins at the end of the game. There is more than one balancing mechanism in play, with opportunities aplenty to hit the leader. It's a lighthearted dice fest, but with interesting decisions and no obvious best strategy.